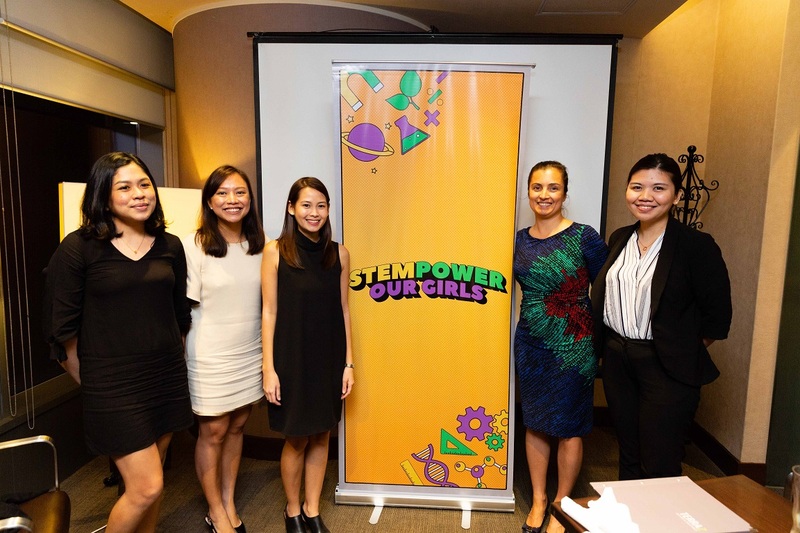 A new campaign seeking to create a group of future-ready, #STEMPowered girls takes-off in Manila this July. Through a program called #STEMPower Our Girls, more than one hundred 6th grade students from public schools across the Philippines will receive specialized training, and mentorship from the Philippines’ top women scientists, technology and innovation drivers, and industry captains. #STEMPower Our Girls is a social impact program implemented by Philippine Business for Education (PBEd) and communications firm Evident Communications -- in direct response to the disparity between the number of men and women in Science, Technology, Engineering and Mathematics careers. It is funded by Investing in Women, an initiative of the Australian government. STEM careers are considered the future of work and not having enough girls pursuing the field can result to a unique set of economic challenges. There are a number of requisites to attracting more women in STEM: equal opportunities in school and at work, encouragement from the immediate environment, having more female role models, and greater technical and financial support for girls’ and women’s STEM based aspirations. “Globally, only 30% of the STEM workforce are women and as we get to senior leadership roles, we see fewer and fewer women. Many factors are behind this statistic and they can be cultural, social, or economic. One such factor is the lack of women role models,” says Love Basillote, Executive Director of PBEd. According to PBEd, middle school is where girls have a considerable level of interest in STEM--but this interest diminishes as they enter the high school years. It is even more challenging for girls when they are in an environment with reinforced beliefs that STEM is only for boys. PBEd, Evident Communications, and Investing in Women will implement the #STEMPower Our Girls program in three pilot areas: Metro Manila, Metro Cebu, and Cagayan de Oro. A total of 40 girls per pilot area will be chosen based on academic merit and proclaimed interest in STEM. The first round of industry talks with partners and role models will start in September 2018, while the actual training sessions with the participants will start in October 2018. The success of the program would be determined by the participants’ inclination to enroll in a science high school or take a STEM-related college course. Concurrent to the implementation of the program in three major cities, the #STEMPower Our Girls project also includes an advocacy communications component to expand the beneficiaries of the #STEMPower Our Girls dialogue to the national level through digital media and content. “We think it’s necessary for us to create an enabling and nurturing environment for girls all over the Philippines to pursue STEM careers; we need parents and teachers to support their aspirations. We are all committed to the creation and delivery of compelling content and storytelling on social media and digital platforms to inspire young girls to apply to science high schools and pursue careers in STEM ,” says Cecile Dominguez-Yujuico, CEO of Evident Communications. “Our goal is that this advocacy reaches parents, teachers and the community of female role models, who are equally important contributors to the educational and career preferences of girls. Through the #STEMPower Our Girls program, we are committed to building a community of supporters nationwide that will help Filipino girls reach their full potential and become the country’s science and technology leaders of tomorrow. ", Yujuico added.